When I hear BBM, the first thing that comes to mind is not necessarily an enterprise collaboration app. In fact — and this might be showing how young I am — I recall BBM as the coolest way to text back in high school. For some reason, my final year of high school was filled with BlackBerrys. Back when flip phones were still normal, it felt as if my entire graduating class was using BBM over standard texting. The iPhone was around and iMessage was first introduced at the time, but the new standard didn’t catch on quite like BBM did just yet. Well, I was a bit surprised to learn that BBM lives and is now apart of an entire Enterprise UC platform. As I’m always curious to see what’s out there besides Slack, I was very curious to see exactly what BlackBerry is up to here. Now I’m not just talking about throwing in new features, although they did that too. But rather, the app has seen some considerable changes, including an entire makeover for enterprise use. 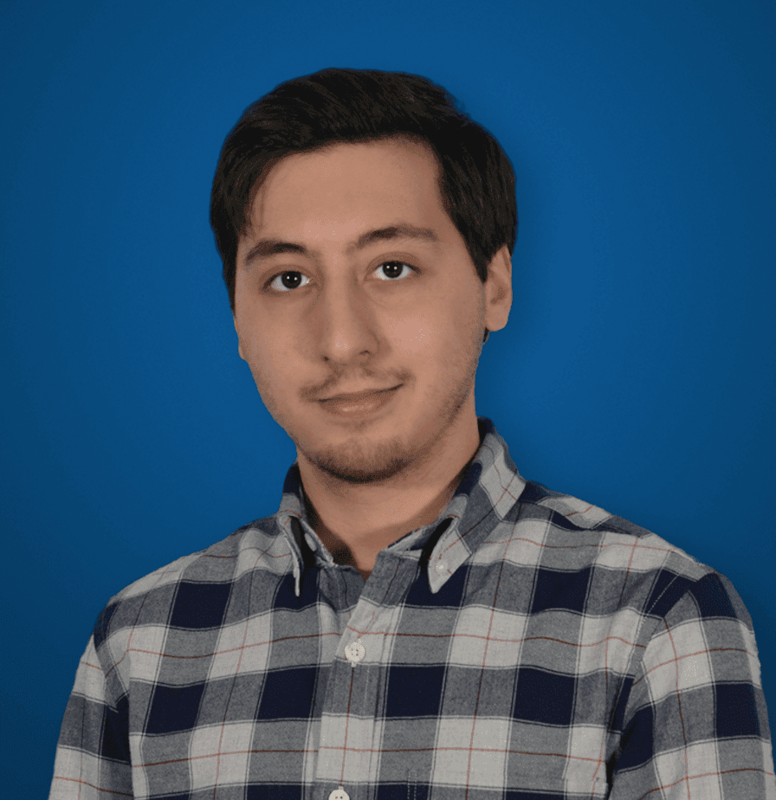 More recently, in fact, BlackBerry even launched their very own BBM Enterprise SDK — allowing any organization to build their own platform utilizing BBM’s intense security features. Jumping back to my high school anecdote — for all I know, my experience could just be a unique outlier. But at the same time, this entire Blackberry trend also coincided with another unique trend: some of the original Pokémon video games my generation grew up with were being ported over to the BlackBerry mobile OS. 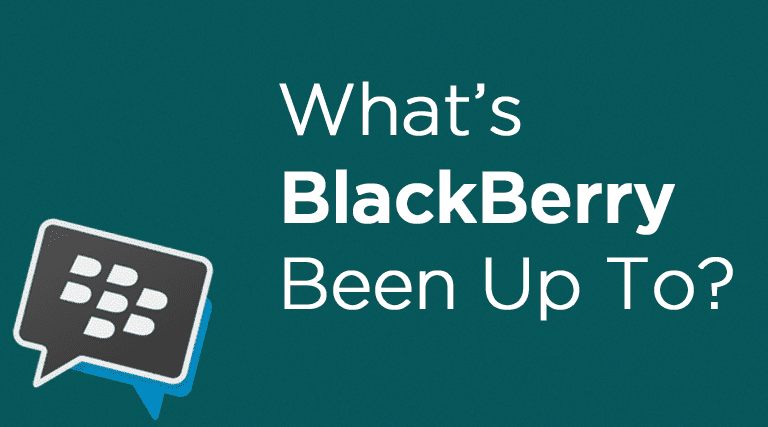 Clearly, BlackBerry wasn’t just a business phone anymore. Blame that on BlackBerrys becoming more accessible than the expensive iPhone, or the lack of maturity in iMessage at the time. Either way, the transition of BlackBerry from enterprise phones to a high school student’s first smart phone seemed a bit odd. I’m not trying to argue that this was the norm: my first experience with BlackBerry, after all, was my dad’s work phone. But he even had a BlackBerry up until about two years ago when a new BYoD policy change had everyone using their personal phones. Either way, BlackBerry seemed to pivot to software by expanding BBM and other apps, without a hold on the hardware market. 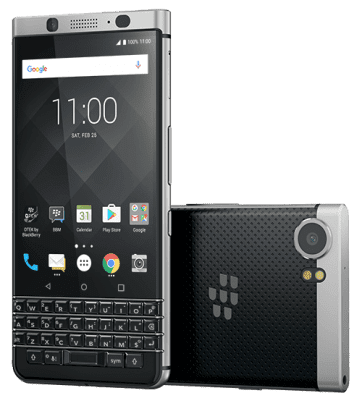 But when BlackBerry launched their new KeyOne phone earlier this year, my interests were piqued. 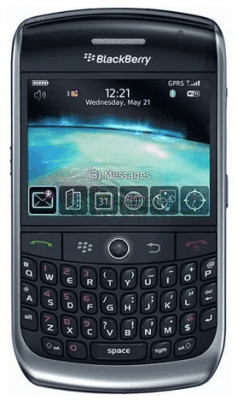 I know I’m in the minority, but I personally miss my hardware keyboard — and BlackBerry seemed to miss it as well. To me, the KeyOne made it clear that BlackBerry was trying to push its way back into the business market by offering a callback to what made their phones revolutionary at the time: powerful email and communication devices. Most would agree that the jump to developing a new phone was not very far-fetched; we know the debate between Android and iOS devices in the business world still exists. In fact, the KeyOne is utilizing a flavor of Android. But what made me even more curious was the new BBM Enterprise, and the platform built around this solution. Much more comparable to Cisco Spark than Slack, I was curious to see how BlackBerry stacked up to some of the competition in the enterprise market. Just at a glance, I want to highlight some of the key points that make BBM Enterprise a bit more unique. Right off the bat, the easiest way to sum it up would be intense security and control. Messaging, Voice, and Video: While originally just an instant messaging platform, BBM has grown to be an entire Unified Communications platform. BBM Enterprise users can communicate with standard BBM users as well. Security, Security, Security: I already touched on this, but as a major focal point of the app, it deserves its own line as well. Everything you do in BBM Enterprise is secured and encrypted on multiple levels. Everything is encrypted both at rest and in transmission as well, and every single message generates its own unique key for encryption. Designed for Mobile Users: So I think this is an interesting point they make: BBM’s ancestry is a mobile solution. BlackBerry claims that BBM therefore provides a stronger mobile experience, as opposed to a solution that was designed for desktops and shifted to mobile devices. Message Notifications: Users gain access to both “delivered” and “read” notifications, even in group chats. This way you can tell who is ignoring you, or who just didn’t look at their phone yet. Easily Manage a Multi-OS Environment: The BBM Enterprise app is compatible with iOS, Android and BlackBerry phones, of course. Encryption even carries over when BBM Enterprise messages are sent to non-Enterprise users. Simple IT Management and Controls: BBM Enterprise was designed with a focus on overcoming “CIO objections,” and specifically addresses concerns about security, EMM integration, and enterprise control. IT managers can wipe all BBM data on any device, and implement simple policies throughout the organization. Powerful Features from BBM: Since BBM Enterprise is built off the existing BBM, users gain some unique features there as well, like private chats that completely disappear when the conversation ends, timed messages, and even the ability to retract messages after they were sent. As you can tell, BBM Enterprise checks off a lot of the right boxes for a UC solution. You’ll notice that a few key points are missing as well, but BlackBerry established an entire platform with multiple apps instead of cramming everything into BBM. More recently, in fact, BlackBerry even launched their very own BBM Enterprise SDK, allowing any organization to build their own platform utilizing BBM’s intense security features. Its safe to say that BlackBerry understands their enterprise clients. By placing a priority on security and enterprise control, BlackBerry was able “to overcome CIO objections,” as they so eloquently put it. When I had the chance to learn about Cisco Spark’s impressive security, I wrote a post outlining the encryption process. Although encryption is fairly boring and the basic concepts are fairly the same, being the nerd I am, I’d like to do the same here. 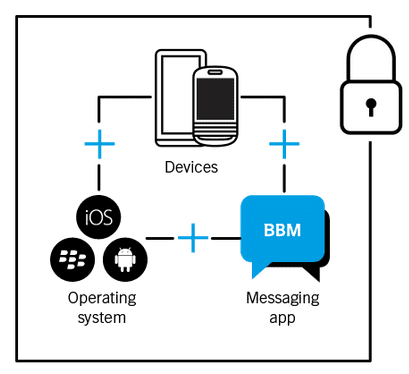 1) Messages between BBM Enterprise and users are encrypted. These encrypted messages are unlocked by symmetric keys. Both the sender and the recipient of the message are given their own unique public/private encryption and signing keys. These keys are generated on the device, and are controlled by the Enterprise. Each specific message uses its own unique random symmetric key for encryption. The benefit here is that unlocking one message does not let the attacker gain access to the entire conversation. It’s as if every door in your house had its own unique key: just because they gain access into the front door doesn’t mean they can go inside each room. 2) TLS Encryption between the device and the BBM Enterprise infrastructure helps to protect not only BBM messages, but the entire network as well. This encryption carries over to voice and video calls as well as messages, and for an extra benefit: communications sent to non BBM Enterprise users are encrypted as well. BlackBerry clearly had an idea of what they needed to focus on, and decided to build the entire application with multiple layers of security. But BBM Enterprise, and its layers of encryption, don’t tell the whole story. We can tell right away that BBM Enterprise, while a seemingly solid solution, might not be able to stand on its own. After all, Slack is free, lets us send messages, edit or delete messages, and is now adding in security. On top of it all, you gain other neat features like file sharing. So, I think that if there was a weak point in the BlackBerry platform, it’s the number of different solutions and features living under different apps — or so it seems. This can get confusing rather quickly and leave teams unsure of which solution would work best for their organization. Since I mentioned this one specifically, it makes sense to start here. BlackBerry Share is an app that allows users to transfer files and is specifically meant for mobile employees. With app-level encryption and data protection, BlackBerry Share is supposed to be a secure way to share files on our mobile phones. But why not just throw this directly into BBM Enterprise as an extra feature? Do we have to switch to a completely separate app just to share files? Isn’t that what integrations are for — to save us time? While BBM has the focus on communications, BlackBerry Work introduces more of the collaboration and organization tools. Work allows users to email, schedule and join meetings, and manage calendars and contacts. To me, it seems as if these are just features missing from BBM Enterprise. Again, integrations bring everything under one roof, so why separate the tools into different apps? Dubbed “the next generation of BlackBerry’s secure mobile browser,” Access allows users to securely access an organization’s intranet as well as other popular web-based productivity apps. 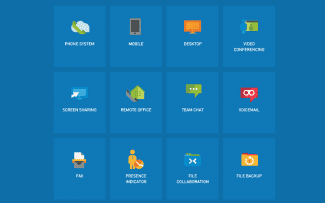 If your business is already utilizing another Enterprise Information Management solution — popular ones including Microsfot Lync, Cisco Jabber and IBM Sametime — then BlackBerry Connect is the solution you need to bring everything under one roof. 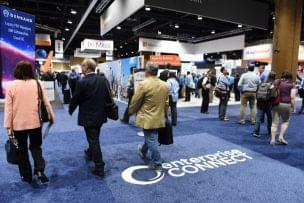 The idea is that BlackBerry Connect “extends corporate instant messaging platforms…to market leading mobile devices without requiring a VPN, firewall holes, or services in the DMZ.” Essentially, a business using Lync can add Connect to gain mobile messaging, presence, and corporate directory look up. So, BlackBerry is clearly looking to offer not only a standalone solution with BBM Enterprise, but also an “extension” for other solutions. Now, this one makes a bit of sense. Generally, APIs are not included directly in the platform. More specifically, this Enterprise SDK is the API that organizations would use to build their own solutions with BBM architecture underneath. This can be considered two different solutions: one focused on the enterprise, and the other focused on the government. The overall concept though, is the same: SecuSUITE is a software-based encryption solution that provides secured calling and texting on mobile devices. Used by more than 20 governments across the globe, you can understand just how strong BlackBerry’s security is. Just a quick note: during my research, I was trying to focus on enterprise and business apps as opposed to other solutions apps like BlackBerry Hub, which acts as a unified inbox for things like Gmail, Outlook, Facebook, and Twitter. BlackBerry first caught my eye when they announced their new BBM Enterprise SDK. Expanding the platform to developers is a clear sign that BlackBerry feels like their solution has a unique capability that helps separate it among the pack. Spark began with security, and has expanded with some great UX features like the white boarding and analytics. Slack stands strong as one of the best choices for not only small teams, but the enterprise, too, with their new grid infrastructure. However, if your business is looking for something that places security as the absolute pillar of necessity, then it seems like BBM Enterprise is a solution to watch out for. Personally, I’d love the opportunity to go hands on with the entire platform to help provide a truly in-depth comparison with other solutions. We had originally reached out to BlackBerry to learn more about the BBM Enterprise SDK, but unfortunately haven’t heard back. We’ll be keeping a close eye on how BBM evolves over time for sure, and will continue to update when we do get to go hands on.